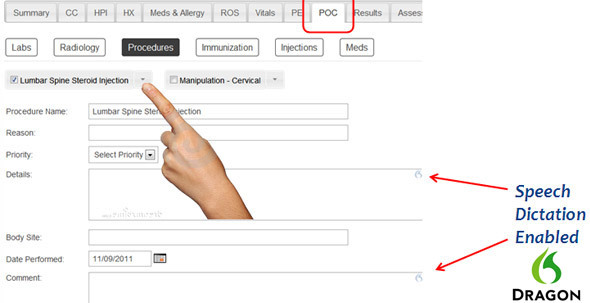 One Touch EMR is clean, powerful, and easy to use! Instinctive design and familiar workflow help eliminate implementation failure. Dr. Abbate created the EMR based on classic health care workflow. 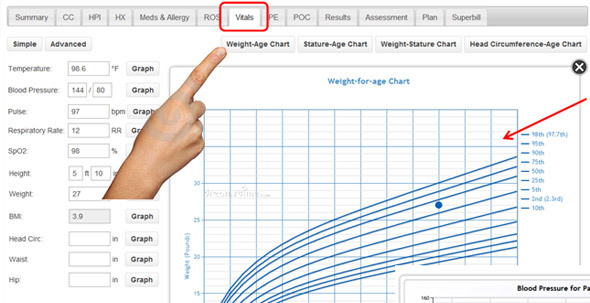 You can document visits using a familiar chart-based system. You will instinctively understand how to navigate and find what you need. One Touch is built upon the driving factors of physician reimbursement. With a backbone of CMS E&M coding guidelines, the system prompts you to document simply yet comprehensively. One Touch qualifies you for Meaningful Use stimulus funds. Document, prescribe, and create orders on the fly. Improve mobility, feasibility, and adaptability. Use One Touch anywhere you need to go! 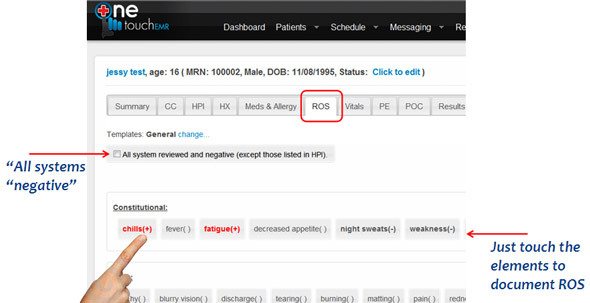 One Touch is uniquely designed to integrate with existing EMR programs. We can easily transfer your important data from a previous system. ...Or act as a shell allowing you to simply and easily enter data into One Touch, and automatically transferring it into the system provided by your PHO or group.